Ring maker tool. 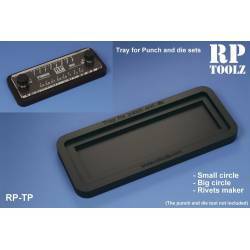 Ideal tool for making rings or curved strips. Diameters from 1 to 6 mm, with 0,2 mm steps. Total length of 104 mm. Tool material: Stainless steel. Hexagonal Punch and die. 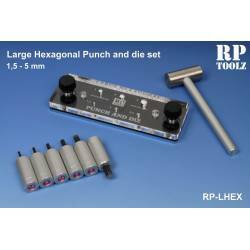 The set contains a die plate, 6 different hexagonal punch tool from 1,5 mm up to 5 mm, and a mini hammer. Tool designed for use on plastic, aluminium, brass or stirol to make hexagonal pieces or as hole maker. 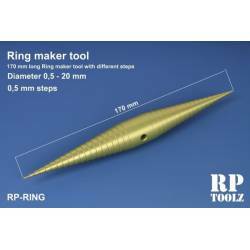 Ring maker tool. 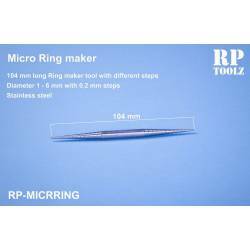 Ideal tool for making rings or curved strips. Diameters from 0,5 to 20 mm, with 0,5 mm steps. 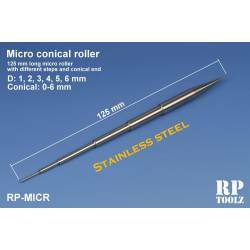 Total length of 170 mm. 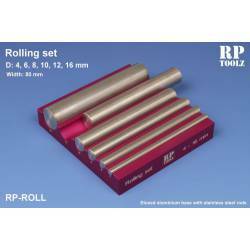 Roller tool. Ideal tool for barrels or any curved PE parts. Diameters 1, 2, 3, 4, 5 and 6 mm cylindrical and from 0 to 6 mm conical. Total length of 125 mm. Tool designed for working with brass, cooper and aluminium sheet rolling/bending. You could rolling your part as a barrel or bend for the right arc. 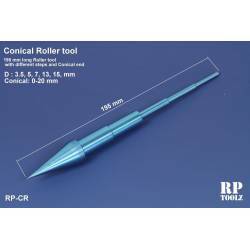 Roller tool. Ideal tool for barrels or any curved PE parts. Diameters 3, 5, 7, 13 and 15 mm cylindrical and from 0 to 20 mm conical. Total length of 195 mm. 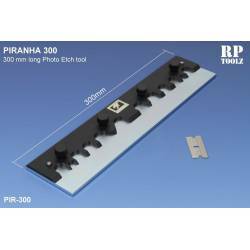 300 mm long Photo Etch blending tool. Designed for bending brass photo etch pieces and aluminium parts . 195 mm long Photo Etch blending tool. Designed for bending brass photo etch pieces and aluminium parts . 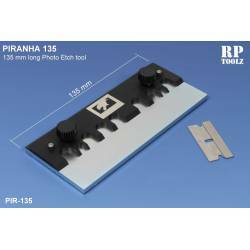 135 mm long Photo Etch blending tool. Designed for bending brass photo etch pieces and aluminium parts . 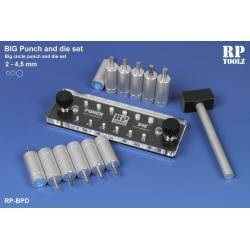 Punch and die set. 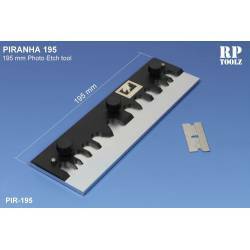 The set contains a die plate, 12 different punch tool from 2mm to 4,5mm and a mini hammer. Suitable for working with plastic, PVC, aluminium, brass or styrene. Tray for Hexagonal Punch and die set. 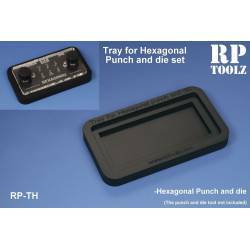 Tray for Hexagonal Punch and die sets.